Have you been wondering what are the easy ways to break up with a guy? 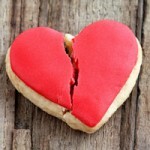 Ending a relationship has always been a tough issue, and break ups can be hard. That is why we all need to follow some good, old-fashioned advice when it comes to that moment. Having a relationship fail is never a proud moment in any of our lives. 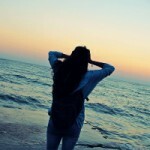 But once you recognize that it is time to move on, the big questions is, how to do it? How to dump the guy? Wondering how to break up with a guy nicely? We all need break up help from time to time. 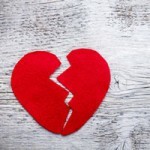 Emotions, years, and years of dating, going off and on, diving into unsuccessful relationships can leave scars on our ability to end a relationship normally. Breaking up with a guy is stressful, but in some circumstances it's necessary. Stay tuned for best ways to break up with a guy. End a relationship without the unnecessary chaos by following simple guidelines. Here is the survival guide on how to break up with a guy nicely and without any feeling of resentment. 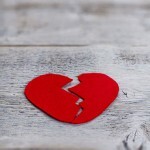 Each point covers of facet of the breakup from the time before breaking up to how to get over break-up bitterness. Be one hundred percent sure it is what you want. It is best to think before you leap. Don't throw away a good relationship if you are mad or just got into a fight and your temper is telling you to break up. Yes, arguing can be messy and people can be hurtful and say things that they don't mean. Nevertheless, it is always good to calm down, think about it wisely. Take into consideration all the pros and cons of your relationship so far and only if you are positively sure that the relationship will end up in horrific failure, proceed after breaking up - cautiously. What are the signs telling you it is over? Some of the reasons to break up with a guy, apart from those really horrible one's like having an abuse boyfriend, may be, apart: he doesn't listen to you, he cheated on you, he doesn't invest in the relationship equally. Sometimes you don't even have the same views on life. You don't have to be exactly the same, but what you want out of life has to coincide with his wishes in order to be able to meet half way and half a decent relationship. Think wisely and speak your mind. Don't worry; you don't have to be the perfect speaker. But you can learn to be one. If you have trouble wording your thoughts into a meaningful sentence when you are under emotional pressure, take a pen and paper. Yes, it's homework time! And the title of the essay is how to break up with a boy nicely. Practice what you are going to say, and write it down in the words you want to say it. This is also good because, sometimes, we regret that we didn't say all the things we wanted to say. Write down everything, than practice it with yourself, or with your best friend. Always remember that there is no easy way to break up with a guy, at least not easy in a sense that will leave you happy and fulfilled. Honesty is the best policy. Always. How do you break up with a guy? We have all done it, but the question keeps on going around. These days breaking up with a boyfriend seems to be through text or changing your Facebook status from 'In a relationship' to 'single'. Ladies, don't stoop to that level. 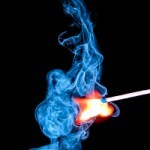 Have the common decency to give a fair explanation of how you are feeling and why you are breaking up. A relationship should always be based on honesty, even if it is ending. So none of those 'It's me, not you'. Don't play games, making him insane with you hot and cold behavior. Why is timing so important? How to break up with a guy if he is too emotional? Tell him that relationships break up, from time to time, and that coping with break ups can be tough. But whether you are going to have the longest conversation ever, prolonging the emotional agony, or simply state those three words 'It is over', that's your choice. Sometimes it's best to explain so the person knows why it has ended and they can have some sort of closure. Be friendly and real, and end it easy. Sometimes friends with benefits can turn into a real hassle. On the other hand, how to break up with a friend with benefits shouldn't be a question giving you much trouble. Both of you should be aware that the relationship you had was for one purpose only. When that purpose becomes a burden, it's time to go separate ways. No need for heart breaking conversations and all the relationship drama. Nice guys require a special treatment when breaking up. If you are in a relationship with one of those nice guys that no one ever seems to stay with, you must be wondering 'Well, how do I break up with a nice guy?' Breaking up with a nice guy can be really challenging sometimes. That question has been perplexing us all for years. There is no easy way out. Sit them down, and list all the real reasons for the break up. Don't be emotional and don't be too hard on yourself or him. Tell him that it is normal for relationships to break up, and that you are just not right for each other. Both of you deserve to be happy. What else is left to say when all has been said? 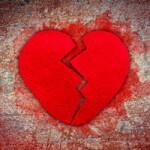 In the end, it all comes down to the fact that there is no easy way to break up with a guy. Whatever your choices may be, it's still going to be difficult in one way or another. But there is always a light at the end of the road, and one ending can be the start of something new and better. Relationship troubles are sometimes pretty tough to handle. 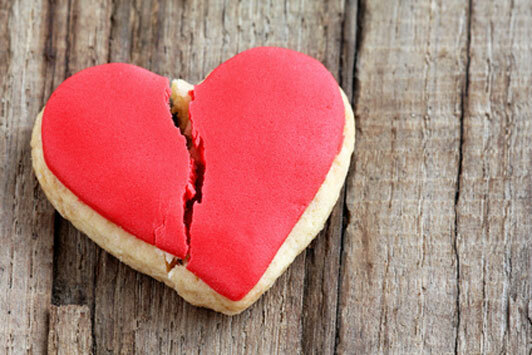 When it comes to taking breaks in a relationship, most of us feel pretty much insecure. Not everyone is ready to talk about it or act in an appropriate way, and they need a little help and support from those who know how that must feel like. This article can help you go through your break with as little damage as possible. Surviving the phase after going through a tough break up is not easy and no break up or separation from your beloved one is the same, but there is always something you can do about keeping your head above the water and learning to swim in the sea of emotions you suddenly have going on. Accepting your feelings and following these simple guidelines will help out with your post break up phase. We are very well aware of the fact that not every relationship is entitled to a happy ending. The question is: how should you know when is the right time to put an end to one. Breaking up is a sore point for most of us, but when it needs to be done, there is no way around it. It is up to you to see if your reason is one of the good reasons to break up. In this article you can find out how to help to those who are important to you to realize and get out of a relationship that is unhealthy for them and makes them miserable. Breaking up a couple is not always an easy thing to do, one has to be very patient and subtle in doing so, but if it is for the sake of those you love, it is completely worth it.